That prompted a few chuckles from lobbyists and other insiders gathered in the committee room but there was nothing funny about it. One of the controversial provisions tucked into the 22-page hodgepodge of policy changes would prohibit Attorney General Josh Stein from asking local district attorneys to handle some of the criminal appeals currently handled by his office, a request forced upon him by a last minute and inexplicable $10 million funding cut to Stein’s office made by legislative leaders in the budget this summer. Another provision would expand funding for a state aquarium facility inside a planned private development in southeastern North Carolina just 31 miles from the state aquarium at Fort Fisher in New Hanover County. No one could explain why the new aquarium was needed or why the expanded funding was slipped into the budget technical corrections bill that Rep. Lewis was still being apprised of as he began to explain it. That reinforced the view that the budget cuts came out of jealously, spite, and bitter partisanship and were made regardless of the damage done to the office and the people it protects and serves. But the bill passed anyway, and importantly in the form of a conference report that meant that no one in a committee or on the House or Senate floor could offer any amendments to change it. Legislative leaders agreed in private what would be included in the catchall legislation and they were not about to let people tinker with it or offer ideas of their own. The process rankled a few feathers at first, some Republicans voted against the technical corrections bill in committee but by the time it came to the floor the objections fell away and it passed in a mostly party line vote in both the House and Senate. Rank and file members know better than to vote against their leadership. State lawmakers spent two days in Raleigh this time in the latest of their monthly chaotic special sessions that allow them to circumvent their own rules, pass any legislation they want with no notice or public input, and make a mockery of the normal legislative process. This week they also overrode Gov. Cooper’s veto of legislation passed during the last special session that weakens protections for rivers and streams, changes solid waste management policy and gives a few hundred thousand dollars to a local utility in Wilmington and UNC-W to address the GenX water pollution crisis that should be handled by the N.C Department of Environmental Quality. Lawmakers cut the budget of the department this year and refused Gov. Roy Cooper’s recent request to expand its funding after the GenX pollution was discovered. House and Senate leaders also found time to pass legislation to abolish the primary in district and superior court judge elections, a stunning last minute move, and the House passed a bill to redraw the districts for the election of judges and district attorneys to try to elect more Republicans. Lawmakers also overrode Cooper’s veto two months ago of another hodgepodge of anti-environmental provisions conjured up by a conference committee and passed in the August special session. Each one of these provisions in these secretly crafted conference reports deserve its own discussion and debate but that rarely happens in this new General Assembly world in recent years. The public is almost an afterthought. The legislation will be whatever a handful of legislative leaders want it to be. There was one interesting and heated debate about a local bill to lift the requirement that public notices be published in local newspapers and instead posted only on local government websites, a fairly transparent effort by Sen. Trudy Wade to punish mainstream media outlets she doesn’t like. Gov. Cooper vetoed a statewide bill by Wade to lift the newspaper notice requirements and the votes weren’t there to override it, so the House and Senate passed a local bill this week that would apply only to newspapers in Guilford County that Wade represents. The governor cannot veto local bills. Apparently, that doesn’t apply to themselves. No agenda was announced for this special session or the last one and no bills or conference reports or proposals were made available to the public. Another special session is set for January but don’t expect to find out much about that one either. The folks currently in charge of the House and Senate are doing anything they want anytime they want any way they want. 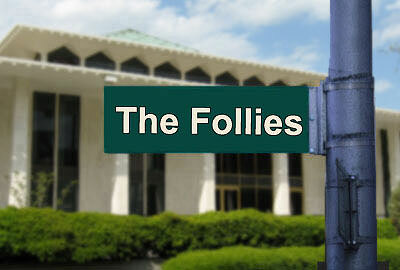 The arrogance may be stunning—but it is the disturbing new normal in Raleigh. Why are legislative leaders so afraid of fairer elections?